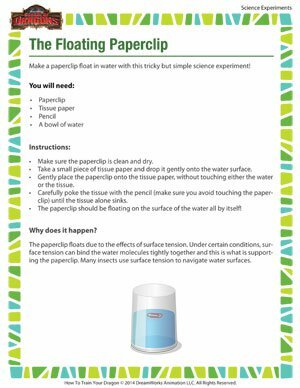 What seems like magic – a paperclip floating on water all by itself – is in fact a scientific miracle. It’s up to you to find out and analyze how and why it happens. Ready for the challenge? Get started with this simple science experiment then. Don’t forget to check out other free science experiments for kids of all ages.